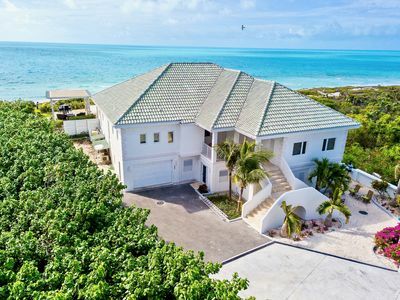 SUMMARY: Quaint 2 bedroom, 1 bath, beachfront apartment unit, in a single story building, nestled on a sandy beach overlooking the turquoise Caribbean Sea. 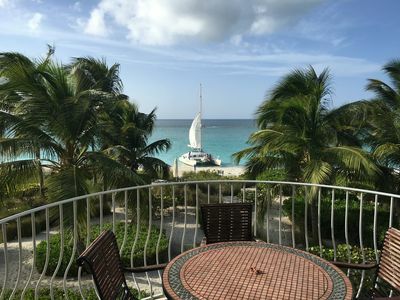 Our unit has gorgeous views from almost every room and a wonderful covered beach side veranda where you can listen to the gentle lapping of the sea and view the beautiful sunsets. 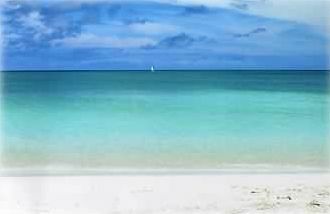 Come enjoy our wonderful swimming and snorkeling beach, the best of both worlds. Belongers (the native islanders) say it's the 2nd best beach on the island, Governors Beach, a public beach, being #1. 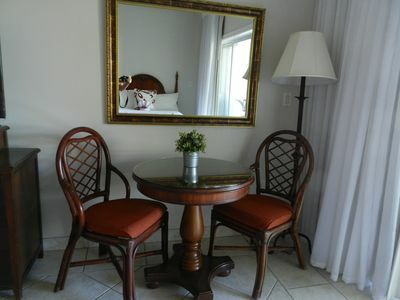 We are an easy 10 minute walk to town and restaurants. 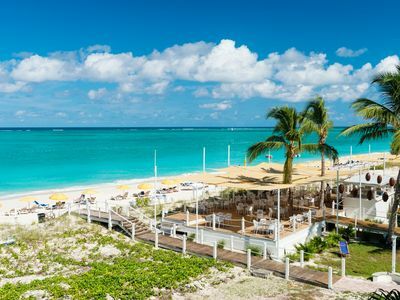 Grand Turk is a charming 'Old World' Caribbean island with quaint colonial buildings lining the narrow walled streets. The local people are very friendly on this laid-back Caribbean island. This is a British governed island, the currency is the US dollar. APARTMENT DESCRIPTION: This unit has a fully equipped kitchen, we even supply a few spices and a few grocery items to get your started. We know that after a day of travel the last thing you want to do is try to find the grocery store and shop. We supply a few breakfast items so that you can go out to dinner that night, have breakfast at the apartment in the morning, get your bearings and do your food shopping. We have 2 air-conditioned bedrooms, one with a King size bed and views of the sea, it has access to the veranda with the beach just beyond. The second bedroom has 2 twin beds that can be put together as a king bed, if you prefer, with views of the Salina and all the wildlife it attracts. The unit has 1 bath with a large tile shower. The bedrooms are separated by the bath, giving the bedrooms a bit more privacy. The dining/living room boast wonderful views of the sea and opens to a large, private veranda. 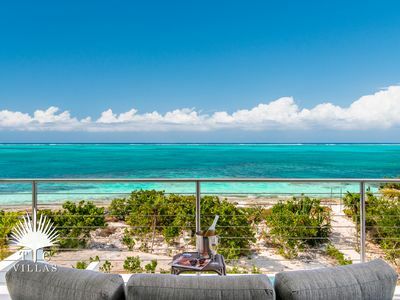 You step from your private veranda directly onto the beach. The sea is literally right outside your door! 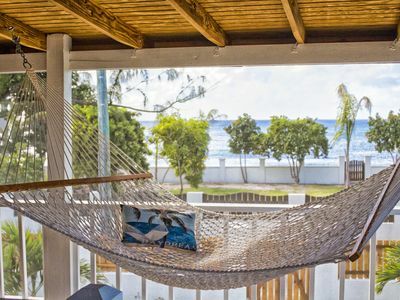 There is a constant tropical breeze that flows through the apartment creating a pleasant atmosphere to relax. 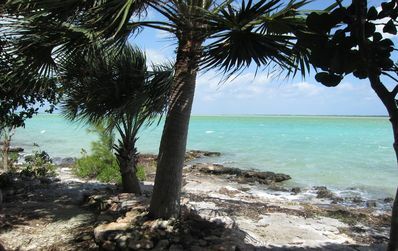 We are located on a beautiful quiet beach, in a nice quiet residential neighborhood. Restaurants and town are an easy 10 minute walk away. 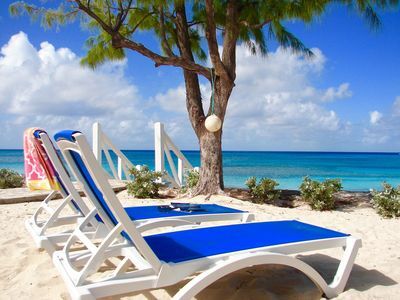 ABOUT GRAND TURK: Grand Turk is a small “Old World” Caribbean island. 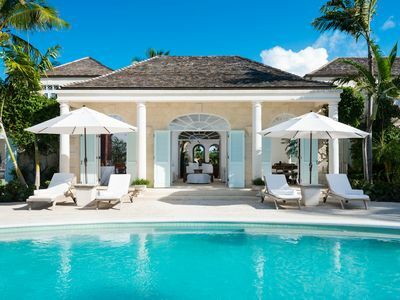 The island has maintained the charm of the colonial days due to the many antique colonial Bermudian buildings and white washed walled lined streets. You’ll feel as though you stepped back in time as you venture out for an evening stroll. There are beautiful views from nearly every place you visit on the island. Many of the restaurants are seated on the edge of the beach, a romantic setting for a leisurely meal. The local people are friendly and welcoming. 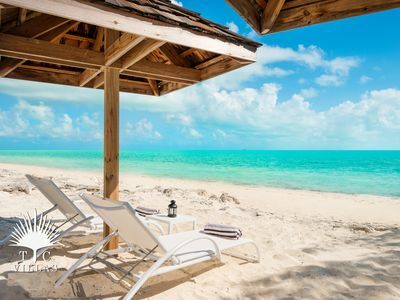 The Turks and Caicos are considered some of the safest in the Caribbean, they are British governed islands but the currency is the U.S. Dollar. Come and visit us here in our little piece of paradise. 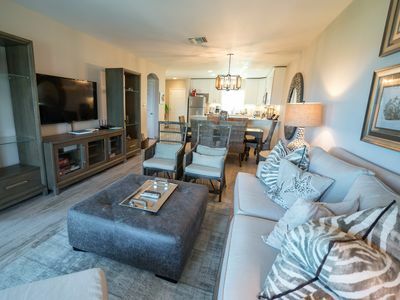 We literally are perched on the edge of the beach with all the amenities of your own apartment right at your fingertips. We know you will love it and look forward to seeing you. 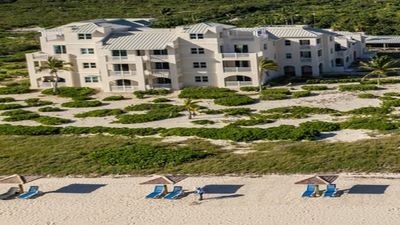 NOTE: What we have that most other apartment and house rentals on Grand Turk don't have; We have the beach right outside your door and we are a pleasant residential area within walking distance to town and restaurants. 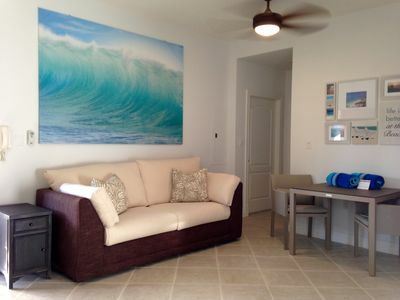 Your rental unit will be directly on the beach. Our beach and swimming has very little seaweed and has a firm sandy bottom swimming area. 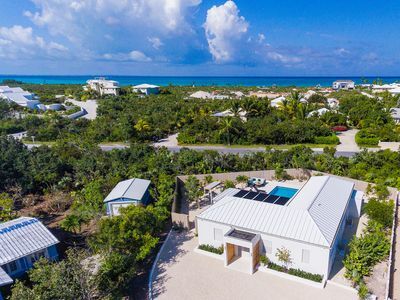 Our family have run this vacation rental, on Grand Turk, since 2004 and have earned an excellent 5 star reputation. See our reviews on listing number 53010. 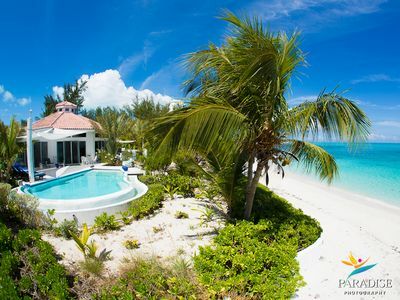 Gorgeous Oceanfront Villa, Newly Remodeled, Taylor Bay Beach! Spectacular Ocean Front 3 BR - Quiet 2nd FL End-Unit w/ Wrap-Around Balcony. 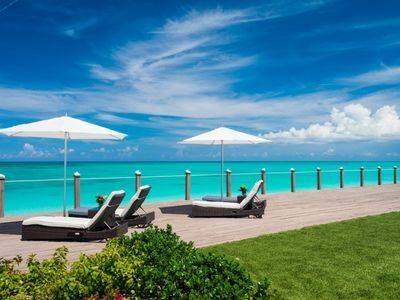 Wow, Gracebay Ocean View Plus Up To 70% Off The Rack Rate!! !